Our specialist Bass fishing trips are tailored with Bass in mind. We depart on the tide (departure times will vary). 1 hour in to our journey, we stop to catch Eels on the slack water. Then we make the short trip to the Bass drifting area where we’ll spend the day drifting across sand banks and rip tides. There’s time to relax a little in our spacious wheelhouse or soak up the sun. We may even have an hour fishing at a nearby wreck, to give you a taste of our Wreck Fishing Trips. 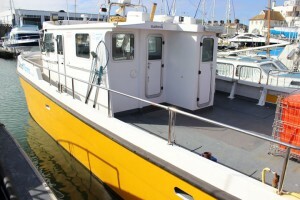 Also available for Private & Corporate Charter on a day to suit you.